Congratulations to the Lancers and head coach Mike Urbanski! 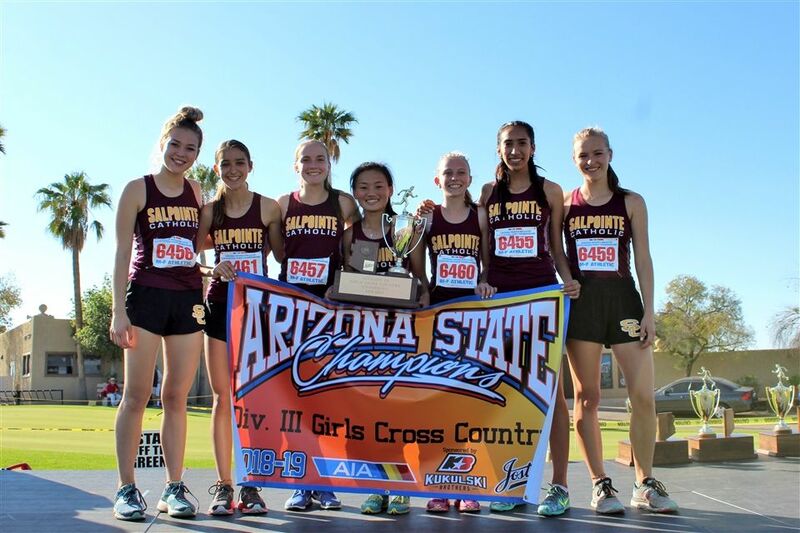 Salpointe Catholic captured the Division III girls state cross country championship on Saturday, while two of Southern Arizona's top distance runners — Rio Rico's Samantha Schadler and Cienega's Ayden Schilb — took home individual honors at Cave Creek Golf Course. Salpointe's 66 points were more than enough to capture the team title, with Prescott (129 points) second and Ganado (145 points) third. Salpointe's Zoey Delgado finished third overall with a time of 18:55, with teammate Lexi Lambert trailing with a time of 20:21. 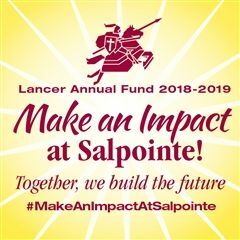 Salpointe's Laurel Froehlich posted a time of 20:23, with Tayler Thomas (20:43), Katie Kelly (21:14), Anaelle DePoint (21:41) and Anna Summer (22:28) following her. Salpointe's Boys Cross Country Team placed 3rd overall in Stat to wrap up a fantastic season.